Hidden underneath a busy south London street is a piece of history rarely seen by Londoners. It's called the Crystal Palace Subway and a group of local volunteers wants to reopen it to the public. Accessible mostly during London Open Days, the subway - or foot passage - forms part of a former railway station that once connected central London to the actual Crystal Palace which stood where the Crystal Palace park is now. 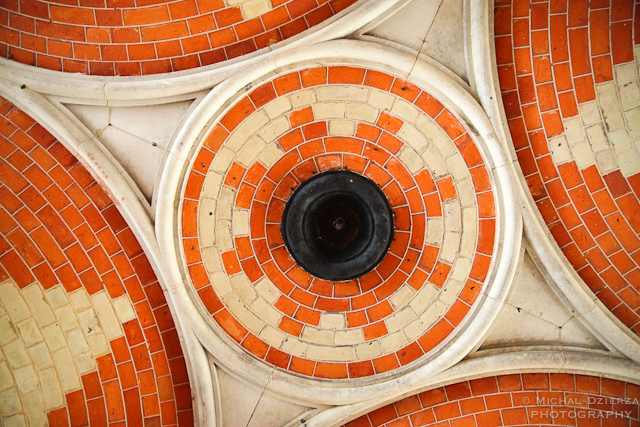 The 150-year old Crystal Palace Subway - while not in use and partly open to the elements - is beautifully preserved and with a bit of help from a crowdfunding campaign, it may reopen as soon as 2016. It's a beautiful piece of design and engineering (one of the reasons the columns are beautifully preserved is the fact the architects hid some pipes inside the columns, allowing any surface or ground water to escape without damaging the brickwork). The passage has been used for many purposes since it closed to the public. It was used as a air raid shelter during the war and more recently as a backdrop to one of the Chemical Brothers' videos. To support the campaign, go to their GoFundMe page.